How to get there: The nearby city of Leadville, highest in the US, is a natural starting point. From there one drives to the trailhead in the valley between Mt. 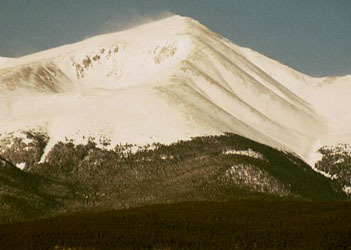 Elbert and Mt. Massive. Route description: The trail ascends through forest across a shoulder and descends slightly before a fork in the trail. Take the right fork which soon climbs out above treeline. From this point the trail continues in a couple of switchbacks leading up to the final summit trail and the summit itself. The trail is well marked and an easy walk all the way. Comments: Mt. Elbert was the first 4000m I climbed together with both my boys aged 8 and 15. We climbed through a layer of clouds and into lighter weather. The full climb took about 5 hours round trip from trailhead to summit. 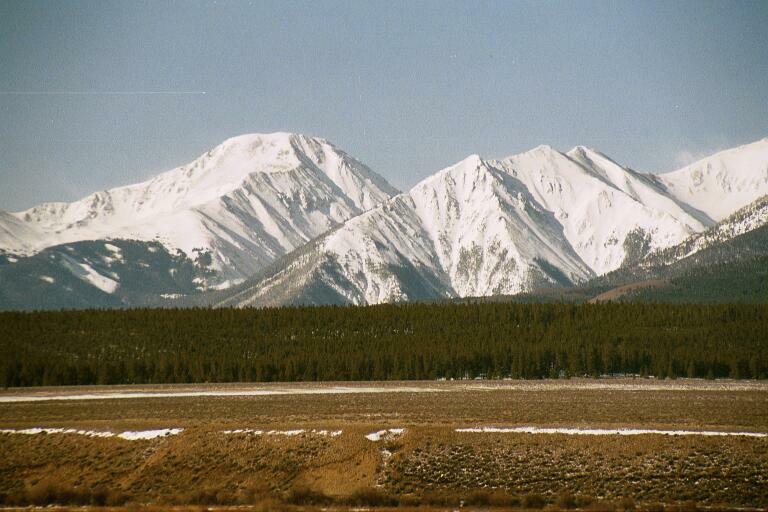 Mount Elbert, seen from US 24, just south of Malta (near Leadville) on May 6th 2001. 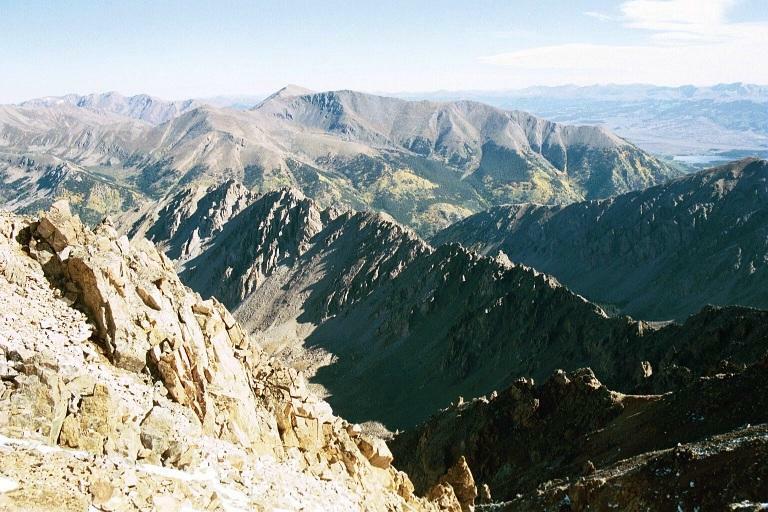 Mount Elbert, as seen from the summit of La Plata. Ellingwood Ridge is in the foreground, Mount Massive in the far left. 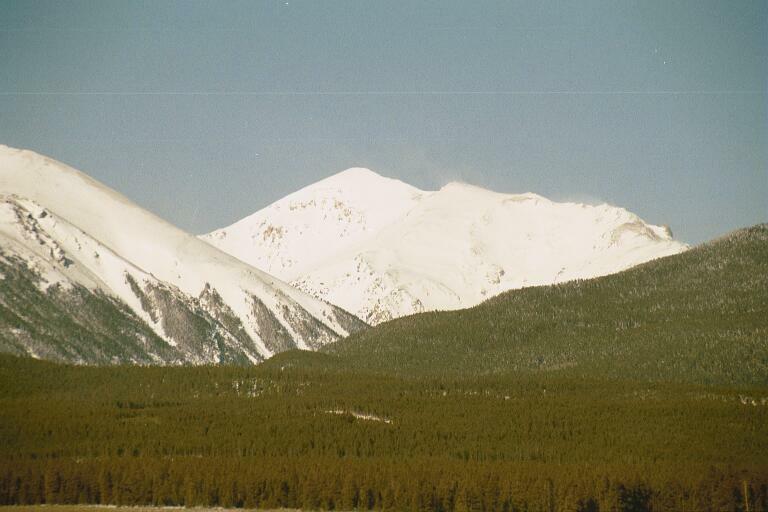 French Mountain (4249 m), between Mount Elbert and Mount massive, seen from US 24, just south of Malta on May 6th 2001. 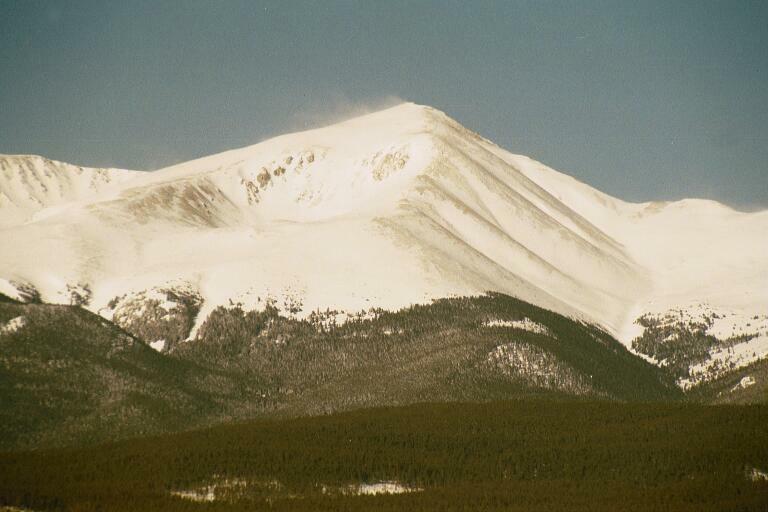 The mountains south of Elbert as seen from US 24, just south of Malta, from left to right: Mount Hope (4247 m), Twin Peaks (4064 m), with Rinker Peak (4201 m) behind. The slope leading out to the right is towards La Plata Peak.